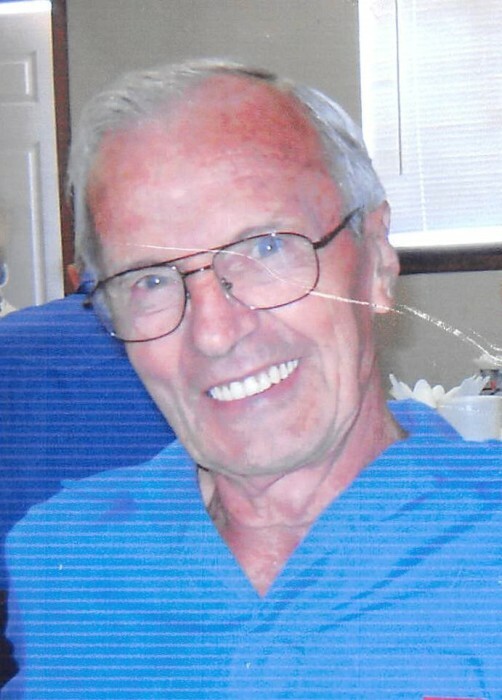 Melvin Stanfield, 89, of Georgetown, passed away Monday, November 12, 2018, at Taylor Manor in Versailles. Born on April 26, 1929, in Nepton, KY, Melvin was the son of the late Tom Stanfield and the late Minnie Sproles Stanfield. A Tech Sergeant for the United States Air Force, Melvin proudly served his country for 20 years. He worked for the water and utilities department in Rockport, Texas. He enjoyed farming and fishing. He and his wife Madeline attended Central Church in Georgetown. Melvin is survived by his wife, Madeline Maddox Stanfield; his daughter, Sheila June Randell and husband Rolla; his stepson, Darrell Keith Rayburn and wife Lesa; his stepdaughter, Lynda Wilson and husband Denny; his grandchildren, Brandon Hickey and Brian Hickey. Graveside service will be 12 noon, Wednesday, November 14, 2018, at Wallingford Cemetery with Bro. Jesse Hickerson officiating. Burial will follow. Memorials are suggested to Central Church Building Fund, 700 Clayton Avenue, Georgetown, KY 40324.